Blades Hair Company focuses on creative cutting, high quality hair treatments and excellent customer care. Their award winning salon, based in Southend-on-Sea, serves customers from all across the region. Specialising in cutting, colour correction and bespoke colouring, tailored to each hair type. As a result of experiencing their amazing customer service (they have 5 different kinds of tea! ), I offered to design the website. I worked with the owner Jade and built the website from scratch. It works on the Foundation framework, meaning it is super fast and responsive across different devices. Alongside the website, I did some professional portraits of all the staff and shots inside the salon. 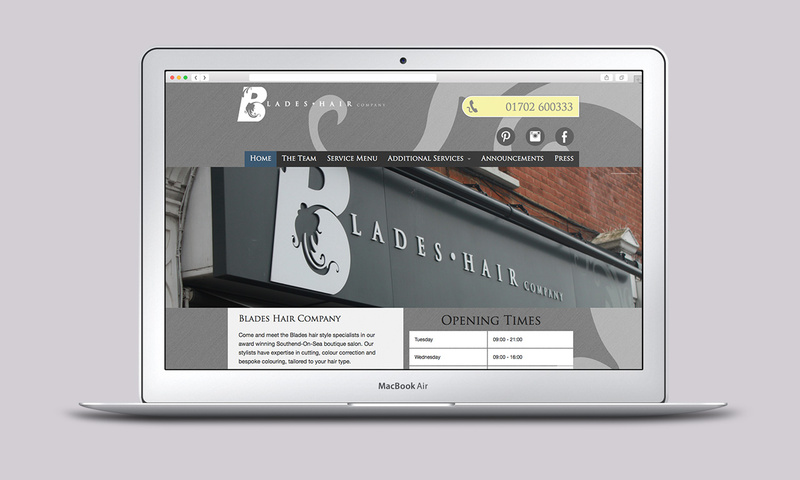 I think professional photography really makes a difference on a website, and here it allows the user to really see the whole salon experience.